We are almost in MID of November and 2018 has almost come to an end. As it was a festive season going on I was pretty busy socialising and picking up some traditional clothe. 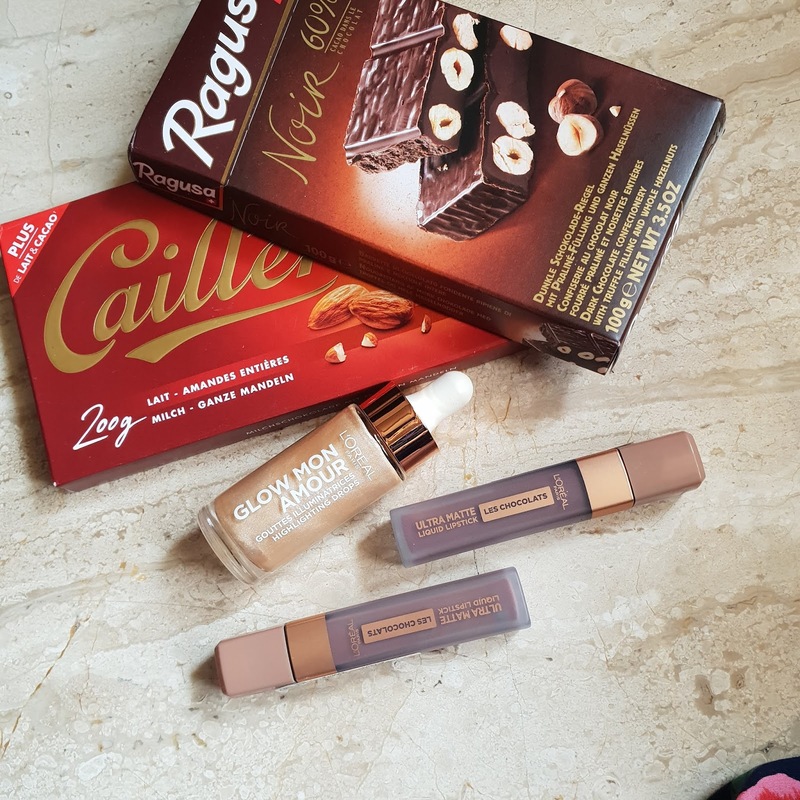 As you all know last month I had been to Paris and I had been to L'oreal store. I was really confused as I could I buy the entire loreal store. It was just amazing. 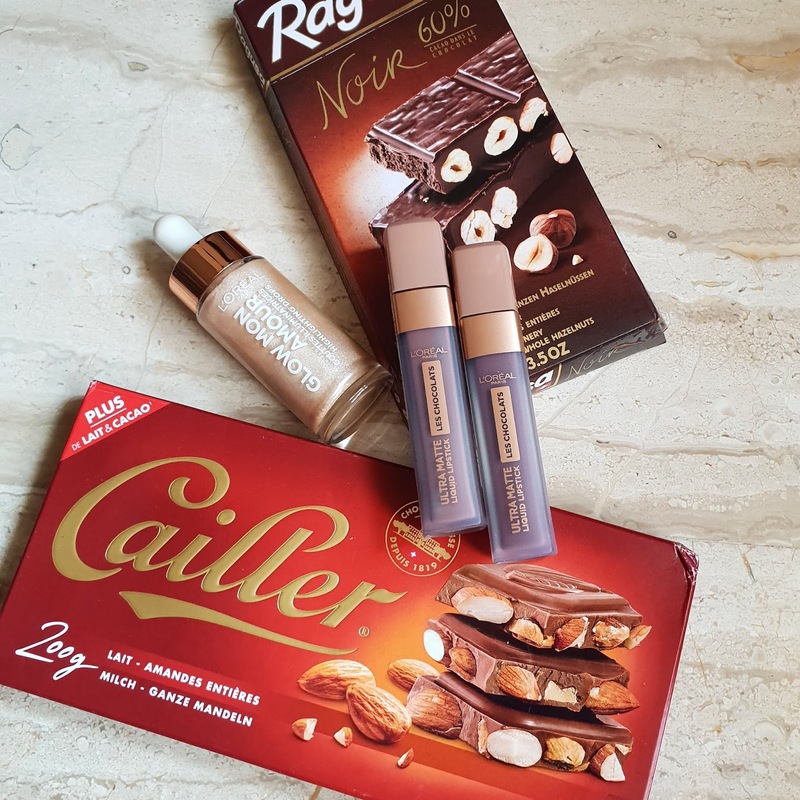 I got some of the new launch products one of them was INFALLIBLE PRO MATTE LES CHOCOLATE LIQUID LIPSTICK and another one was GLOW MON AMOUR DROPS. 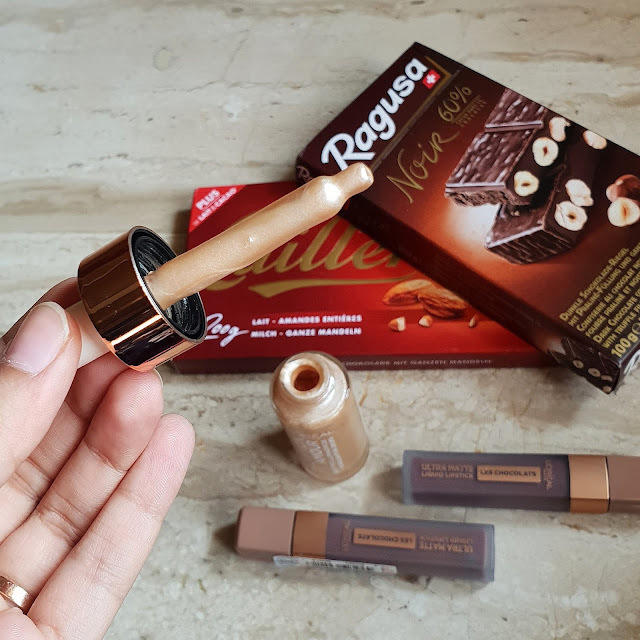 Les chocolate liquid lipstick comes in a frosted square shape tube with doe foot applicator the color of the cap is of creamy beige color. The entire shade range has warm and cool tone choclatey shades. Like front neutral pink to browns. The shades are really confusing and to pick out the best one a task. This lipsticks actually smell like a chocolate I like using cool tone chocolate shades instead of warm ones BOX OF CHOCOLATE is one of them. 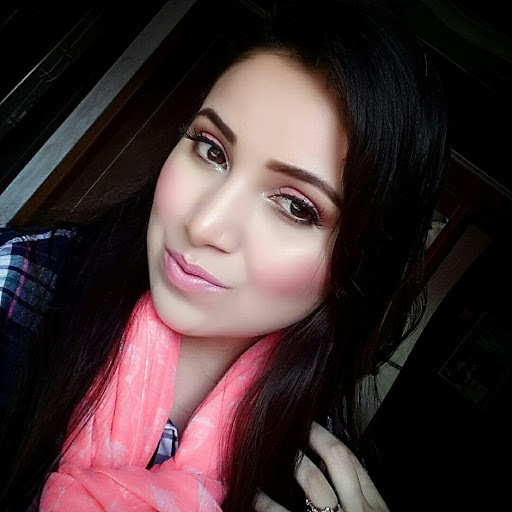 The pro sculpt applicator helps to have a well defined lips. Its highly pigmented formula with excellent color pay off. 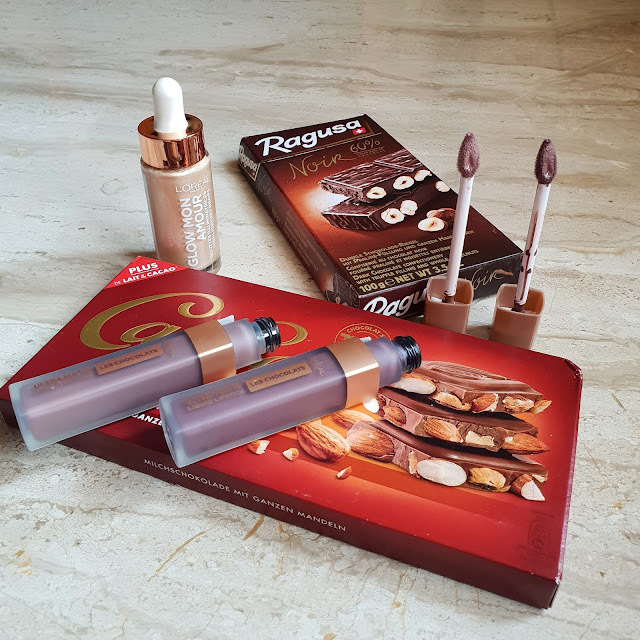 The creamy formula sets in just few mins and gives a complete matte finish. It doesn’t transfer it’s a smudge proof and waterproof formula. It stays well for 8 hrs. Make sure you exfoliate and hydrate your lips before application as it can make your lips dry. The texture is smooth and not sticky or messy.It does settle into fine lines but doesn't bleed. 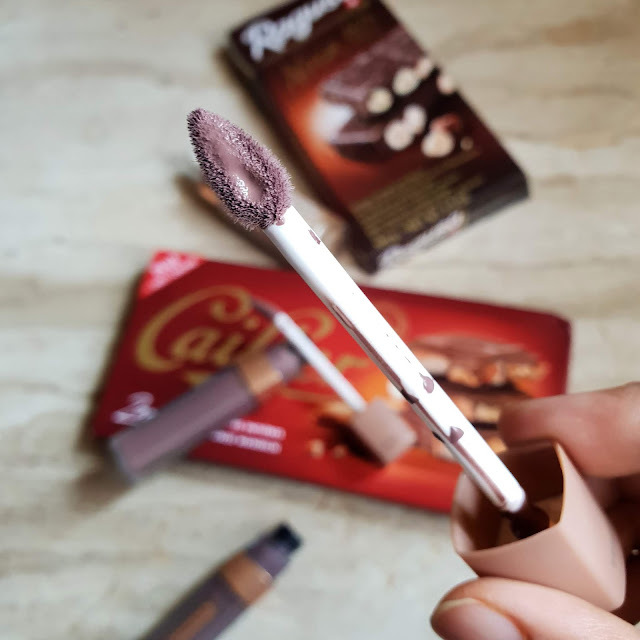 Overall I love the texture and how it sets in to give a perfect chocolate matte lips. Its the most trending shades for fall 2018 and they are much affordable then high end brands. Do try them on your lips before getting them. 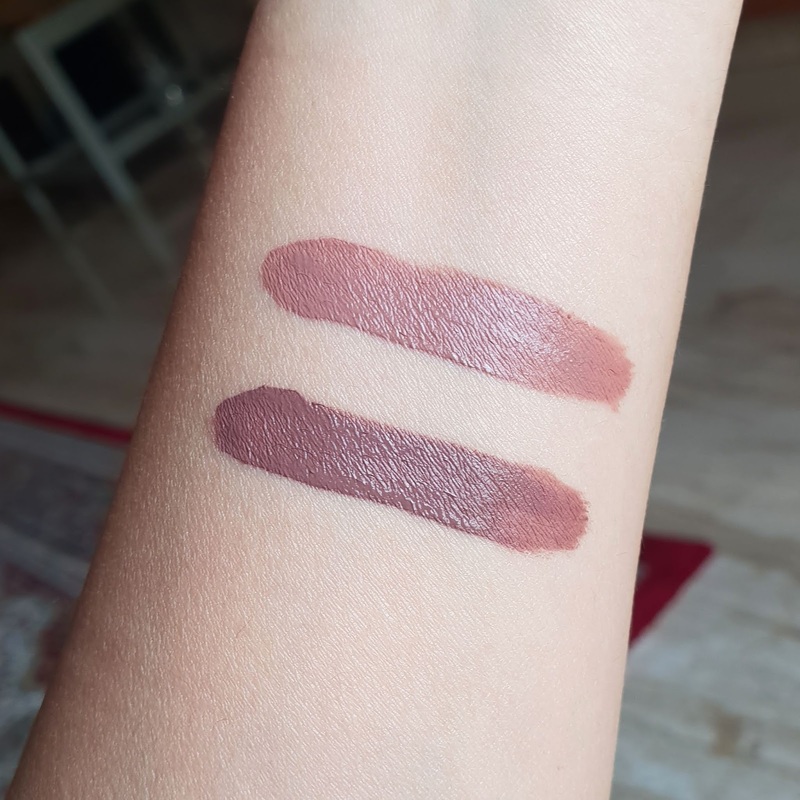 The shade can look bit darker once it gets into matte finish. BOX OF CHOCOLATE is a beautiful cool toned chocolate shade. Suitable for fair to medium skin tones. It can sometimes look washed out but perfect for fall 2018. OH MY CHOC If you love brown and want something with neutral undertone this is a very nice shade to carry out. Various skin tone from fair to dark can opt for this shade. Glow Mon Amour Drops comes in a normal bottle with dropper packaging like most of liquid highlighter. There are two shades available I got the one in rose gold. With the dropper you can actually control the drops. 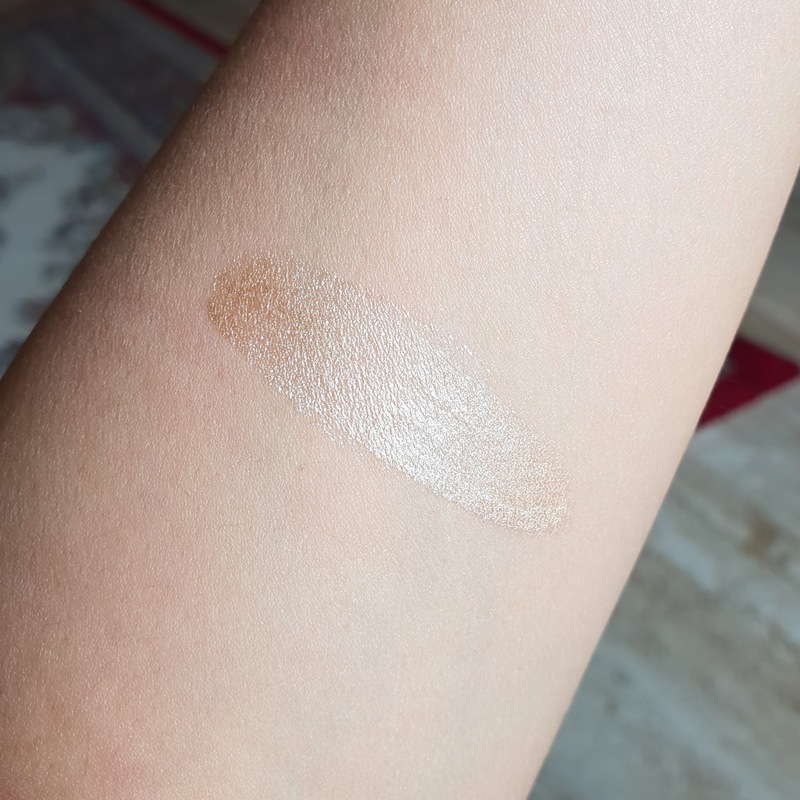 The highlighter is in thick liquid consistency the texture is smooth and blends easily into skin. You just need 2 drops and blend it into cheek bones or you can just dab it. Also you can mix with the moisturizer or foundations to give a dewy look. It looks amazing in daylight. It gives luminous glow and is highly pigmented. It also contains coconut oil for nourishment . You can create subtle radiance to intense glow. I love liquid highlighter and they are best for winters and girls who have dry skin. I also love using cream formulas but liquid give more seamless blending. Also you can use them for summers to get sun kiss glow. The staying power is for 7-8 hrs it doesn’t smudge or transfer. Overall I liked the product though it can be little messy. But the quality is good and I find it worth spending on it.